Coming off its best season and first NCAA tournament appearance in five years, things should have been looking up for the men’s basketball program. Instead, as the calendar flips to June, there appears to be more questions than answers, with two starters — forward Nikola Jovanovic and guard Julian Jacobs — declaring for the NBA draft. Additionally, three more players — guard Katin Reinhardt, forward Malik Marquetti and guard Malik Martin — are transferring and forward Darion Clark graduated a year early. It didn’t have to be this way. Jovanovic, Jacobs, Reinhardt and Clark were all juniors. Marquetti and Martin were sophomores. Following the Trojans’ devastating loss to Providence in the first round of the tournament, there was a strong sense that this was just the tip of the iceberg, that this team would return all of its players — minus senior forward Strahinja Gavrilovic — and come back with more experience to make a deeper run next season. But for one reason or another, they all departed one by one, widening the holes that head coach Andy Enfield will have to fill. Jovanovic was the last to go, announcing on Instagram last week that he would keep his name in the draft. Enfield, who just signed a contract extension through the 2020-2021 season, will scramble to replace three experienced players and three key bench players. 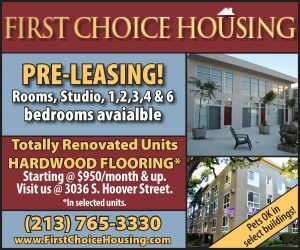 Granted, USC has a strong incoming freshman class along with Louisville transfer guard Shaqquan Aaron, but losing both Jovanovic and Jacobs will sting, regardless of their replacements. The juniors were holdovers from the previous coaching regime, brought on as freshman recruits before Enfield was hired prior to the 2013-2014 season. Yet they chose to stick with USC through the difficult rebuild that Enfield engineered. 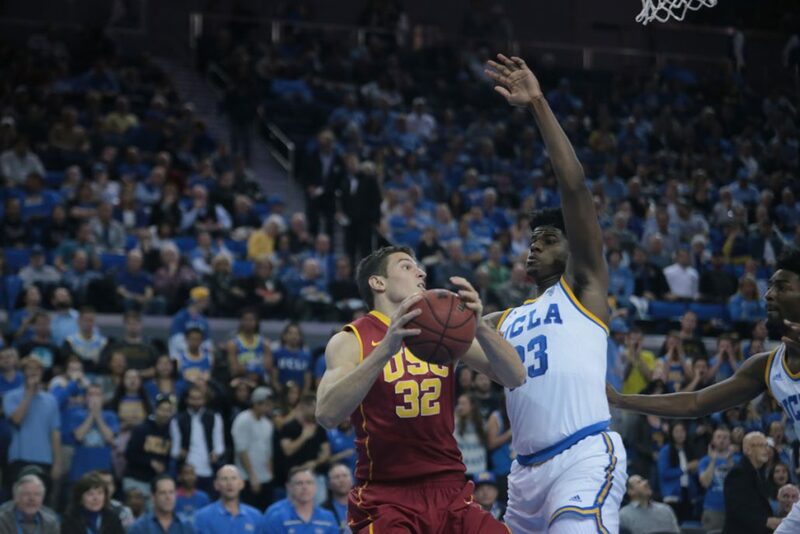 In a season that saw the Trojans jump into the AP Top 25 for the first time since 2008, Jovanovic and Jacobs emerged as leaders, due to both their experience and play on the court. Jovanovic stretched the floor as a 6’11” big man who can not only score inside and grab rebounds but also make jumpers. Jacobs was one of the team’s best defenders, and used his athleticism on offense to create plays and was also good for at least one spectacular dunk a game. On a roster where half the team consisted of underclassmen, Jovanovic and Jacobs served as calming presences and go-to players. Reinhardt, who was a starter early in the season but came off the bench towards the latter part of the year, also provided this leadership. The redshirt junior, who transferred to Marquette, was also a solid 3-point shooter and a capable defender. The losses of Clark, Martin and Marquetti, while replaceable, will hit USC’s depth hard. Their reasoning to leave may have been due to the lack of playing time for bench players next season with all five starters presumed to return — the irony being those three would have been leaned on heavily to fill the playing time voided by the various departures. Instead, Enfield will have to rely on fresh blood much earlier than he would have liked. Aaron, a redshirt sophomore who couldn’t crack Rick Pitino’s rotation with the Cardinals, will probably take Jacobs’ spot in the starting five. Sophomore forward Chimezie Metu, a raw but promising freshman last season, should slide into Jovanovic’s role. Metu will work in the frontcourt with fellow sophomore Bennie Boatwright, who will see his role increase on the offensive end as a stretch-four. Junior guard Jordan McLaughlin will take on more of a leadership role as their point guard and best playmaker. Athletic junior guard Elijah Stewart, who showed flashes of what he can be last season as both a shooter and an aggressive rim-attacker, will need to be more consistent. USC’s recruiting class is encouraging, with freshmen De’Anthony Melton, Jonah Mathews, Harrison Henderson and Nick Rakocevic all highly-touted and bound to leave their mark, but Enfield has been here before in terms of having high-potential but young and inexperienced players, and he would prefer to not undergo another rebuild. Such is college athletics, when the window of success opens and closes depending on how many players unexpectedly declare for the draft, graduate or transfer. The Trojans still have talent and enough returners to remain a legitimate threat in the Pac-12, but losing so many key players after their most encouraging season in years is a big blow nonetheless. For a program trying to find consistent success, the task just got a bit harder. Eric He is a sophomore majoring in print and digital journalism. His column, “Grinding Gears,” runs Wednesdays.